Did a quick painting for a Christmas present -- for a relative that does not read the blog, I think. 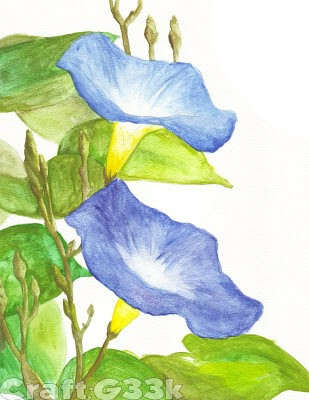 I have no time to do studies, so I decided to revisit morning glories. This took me an hour. I think it looks better as a watercolor, don't you?